Microsoft's internal Halo team, 343 Industries, has a new member. Sotaro Tojima, formerly of Kojima Productions and credited with Metal Gear Solid 4's sound direction, has joined the Halo publisher. The official Halo Waypoint Twitter account brings word of Tojima's hire, the second—that we know of—former Kojiima Productions staffer to join Microsoft in its Halo-expanding endeavors. 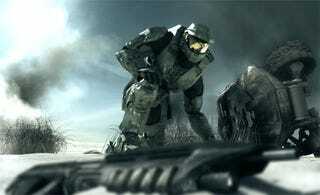 Ryan Payton, assistant producer on Metal Gear Solid 4, joined the internal Halo team late last year. Sounds like Konami and crew may have a little difficulty as of late in keeping their audio talent interested in sustaining their employment at the Japanese publisher. Regardless of Konami's musical staffing problems, we look forward to what the combination of all that talent and the backing of the Halo franchise will bring.